I have a thing for pickles. Maybe this is why we had four children, so I had a fairly predictable excuse for the outrageous number of pickled items I would consume. Yeah, that’s it. Offensive levels of fertility and general laziness come carelessness had nothing to do with it whatsoever. That and we really just wanted a girl. Let’s just perpetuate as many myths as possible. So, I had this recipe from an Australian Gourmet Traveller hanging around on the kitchen bench for pretty much most of last year, maybe longer and in fact thought I’d tossed it in a recent purge of ripped out recipes but no! Score! It was still there, testament to my love of the pickle. 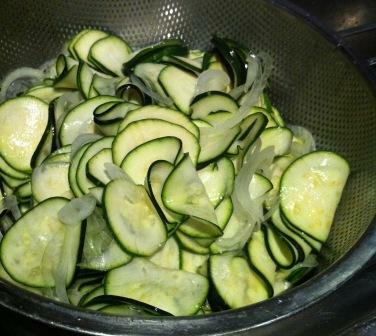 Combine the zucchini, onion, salt and water and stand for 1 hour. 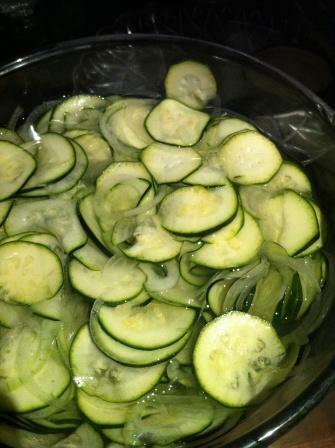 Drain the zucchini and onion and pat dry on absorbent paper then put back into the bowl with the cider mixture and stir to combine. Transfer to sterile jars and add a bit of water to cover if necessary. 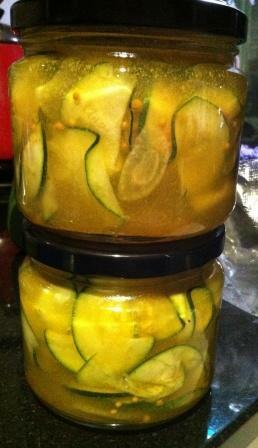 Seal and refrigerate for two days to pickle. They’ll keep, refrigerated, for at least three weeks. So it’s quince season over here. A fleeting time when I never make enough of my quince relish to last until the next season which this year I have sought to rectify. Then Chef asked me if I had a quince jam recipe. I found one in my Country Show Cookbook and figured that not having to peel or core the quinces until they were partially cooked I would give it a go. Now, not being a big fan of quinces in a sweetened dessert form I was not holding much hope for me enjoying it but MAN OH MAN it is freakin’ delicious. Smear it on some buttered toast and I defy anyone to not eat the lot. I did also use a jar of it on some lamb shoulders I slow roasted for about 7 hours yesterday and again, superb. Pour into sterilised jars and savour throughout the long non-quince season. I adore beetroot. It has that earthy sweetness about it. And the colour. I guess it figures considering my addiction to rhubarb. This is sensational, but go easy on the garlic. I haven’t and am really regretting it. Nigella recommends using a high quality red wine vinegar or if that is not possible, a run of the mill balsamic. I did the latter and it is fantastic. Put into a bowl and let it mellow for at least two hours before using. I doubled it all – it made 3x375g jars – so if you make it as above you’ll have a good amount for a dinner of about 6-8 adults. It’s a much darker purple than my picture. It really is very pretty. Great for any meat or with a cheese platter. 25 minutes on rapid boil. I love the rings of progress. This, being made late at night in the quiet of a normally very loud household, made the patterns of boiling fruit and sugar very mesmerising. The recipe is no secret, I make the Stephanie Alexander recipe, which is apparently the recipe her mum used to make. I am however very lazy and do not pull all the pips out of these tiny fruits and secure in a muslin bag. I just let them boil in the marmalade and then pull them out as it cools ever so slightly before I pour it into jars. 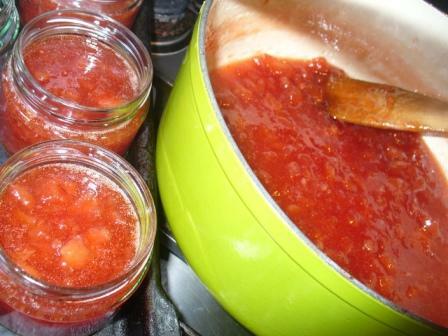 ** I sterilise my jars by rinsing in warm soapy water then putting in a low oven for at least 10 minutes. This batch made 13x375ml jars. even it’s name is enticing no? I have always wondered what a jam roly poly was and in my impressive laziness resulting in a lack of research had simply presumed it was a rectangular sponge covered with jam and then rolled up. Just as this curiosity was sitting there, along with my curiosity about a whole lotta things, out comes the latest Gourmet Traveller and the weekly edition of Good Living, both featuring a jam roly poly. It’s more of a scone wrapped around jam than a sponge. I know. Move over Wikepedia. that is the pic of the Jam Roly Poly in the latest GT – I mean, if that doesn’t make y0u want to make it, what will I say. And yes, I even made the jam. I’m not a huge marmalade fan, but this – which I slightly modified – was very moreish indeed. Also – mine looked nothing like this – my jam was not as dark and syrupy (similar to my insecurities about my kneading ability, I have similar angst about making jam. that said, this one set without me using Jamsetta and is delicious, it just wasn’t thick and syrupy enough to hold that much shape in the roll). – Peel and segment the oranges, lemons and two of the mandarins. Do this over a bowl to catch juices. – Remove pips and set aside. 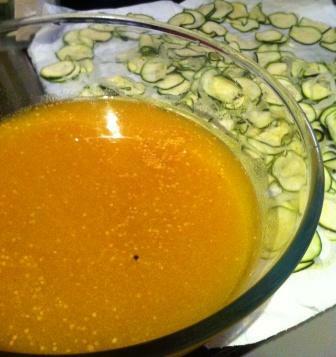 – Using your hands, push down on the segments to release juices into a measuring cup. – Squeeze the remaining four mandarins and add to to the juice from the segments – you need 1 cup of juice. – Now, the recipe says to wrap the roll in the grease-proof paper and tie the ends. I’m not sure why you do this, maybe to keep it in a tight roll as otherwise it might just spread outways… or something? 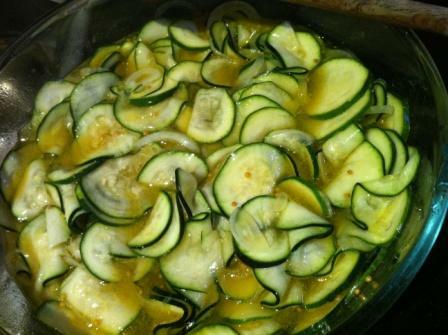 – Place on a baking tray and cook for 35 minutes. Serve warm with cream or ice-cream (or both) and some of the leftover jam if desired. The recipe in Good Living used a jar of apricot jam, which may be what I do next time. I’ll keep the rinds in the batter though as it gave lovely flavour. *This is basically like a scone dough. In fact, with the rinds adding an extra depth of flavour I may use this recipe for my next batch of scones.